Previous postHave your skills gone rusty since you started your consultancy? 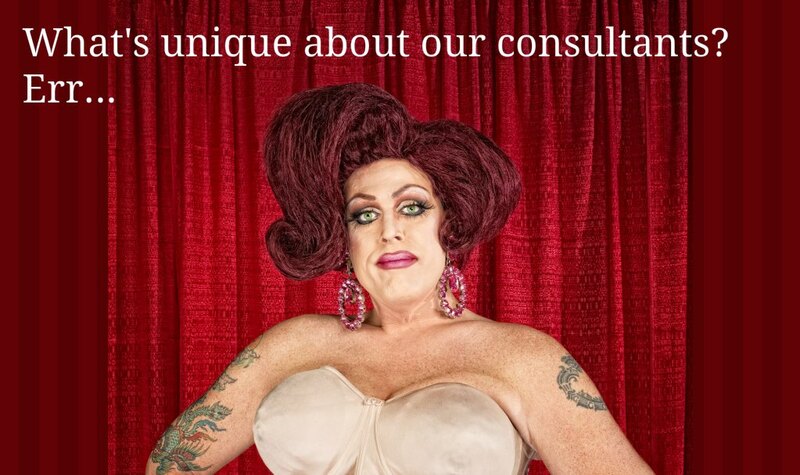 How do we articulate our consulting USP? We've all read too many marketing books and swallowed the USP dream whole. I will be flamed by every marketer out there, but in my view the search for a USP in a consulting business is at best pointless, and at worst a counterproductive deadly time and energy sink. If a USP for your consultancy or agency isn't leaping out and slapping you in the face, then don't spend time trying to invent one. Focus on being a better fit for your clients. If you've got "unique" and can articulate it, provided you can deliver it and your clients give a damn, then whoopie for you. But just before you smugly move on to Facebook, just quickly read through my section below "But I have a USP". All of these are worth spending time on, but it's unlikely that any of them are your USP. Value. They want help to solve a particular problem, or exploit a particular opportunity. They want this help in a way that they get more out of it than they pay for it. If you're dealing with a non-myopic business owner, then that means a big ROI. 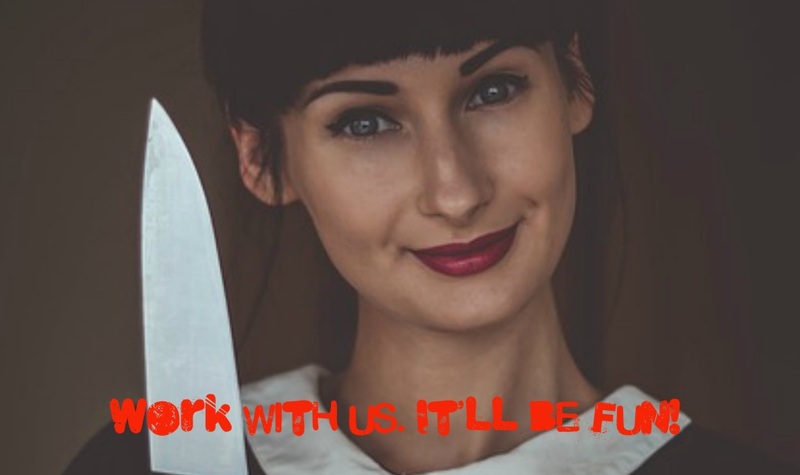 If you've been cursed to end up with a typical procurement team, then that likely means minimal cost to just get the job done. Credibility. They want a safe pair of hands that will deliver what they're looking for. So they need to believe that you can deliver what they're looking for. It goes without saying that you should believe this too! Relationship, trust and experience. You're going to see them a lot during your engagement. They will want to work with someone they like. Someone they can trust to not bail out, let them down, or exploit their dependency when it all goes a little hairier than planned. Ideally, they'd also like the whole thing to be an experience they enjoy. Note that "uniqueness" doesn't feature in that list. Your uniqueness is neither here nor there. Your ability to do the above 3 things exceptionally well and better than the next gal/guy is what will make the difference. But I have a USP! Don't get me wrong. I'm not against USPs. If you have a genuine USP (meaning it passes the criteria below), then you should milk it for all it's worth, ride it like a rented mule, and all other metaphors for making the most out of it. Most important - is your unique thing really relevant for your client? Or is it just something that makes you feel special? Your client wants a solution that does the job for them, not your USP. If your USP genuinely gives them a solution in a way that makes it better for them, then great! Is it truly unique? Or even nearly unique? And is it unique in a relevant way (see 1 above!). Can you deliver it consistently? Your USP is a promise, just like your proposal is. If you say that's what you are, and you don't live up to it, your reputation will spread far beyond just the client you've just let down. If it doesn't pass those tests, then what you have is a different kind of USP, namely a Useless Selling Proposition. Find out more at our next overview webinar on Date TBC! Contact us if you'd like to chat. How about a USP for my employees? This post is about USPs from a client-facing perspective. From an employee-facing one, however, we're all for developing your unique culture and way of being, and doing that as hard as you can. I know it's not as binary as that - your culture will absolutely be reflected in your clients' experience of working with you - but it will impact your own consultants more. But that's probably the topic of a future post. So if not USP, then what? So, if like most consultancies, you don't have a genuine USP, don't waste your money, energy and time trying to invent one. If you have a genuine candidate to be your USP, it will be obvious to you - it won't come as a result of a 3 month marketing agency engagement. This comes down to 2 things. focusing on how what you offer can maximise the value they get out of it. The value proposition your client is looking for is not your "solution", it's about what true impact you can have on their business. Then figure out how to articulate your value as clearly and quickly as possible, and drive that message as far up your prospect or client's organisation as is relevant. Which, if you're a technology consultancy, is usually 2 levels higher than you think, and if you're an agency, probably one level up. If the best value proposition you can come up with is only about cost (i.e. how you're cheaper than everyone else), unless your strategic focus is to commoditise your services, run away. This is where your solution matters. With your value proposition above, you've articulated the value you're going to help unleash for your client. Once that's done, you have to create a belief that you are able to deliver a service that will unleash that value. And, as we're all about value/s led consultancies, you only create that belief on the basis that you genuinely are able to do so. So credibility entails not only knowing what you're talking about, but inspiring trust that you do in those that you talk to. Put bluntly, if your prospects don't think you can do what you say you can, they won't buy from you. This is where case studies or references come in. But it is also simply about the confidence and knowledge that you are able to convey when you talk to your prospects. Looking like you've been there and done that enough times that you'll be a safer pair of hands than anyone else that they're talking to or than going it alone. The most consistent feedback from our clients at Conchango was that we never let them down, even though any accountant looking at some of our projects would've probably told us to stop and do something else. But that feedback and confidence we instilled in our clients was especially important as we took on challenging projects. That wasn't what we led with when we sold though. It was clearly in the set of reasons why you'd want to do business with us, but compelling as it was, I don't think we were unique with it. And you could only truly find out it was true once you'd engaged with us. But, and here's where it works, the fact that we had countless clients where the relationship was strong enough that they would vouch for how we stuck with them through their most challenging ambitions, meant that references really paid off. Consulting, agency work, professional services - these are all people businesses. Part of what your clients are buying is the interaction with you. Which means they will usually only buy from you if they like you and think the experience is going to be a good one. Your clients are businesses, but they're also people. They want to know you will do right by the business, but they also want to enjoy working with you. 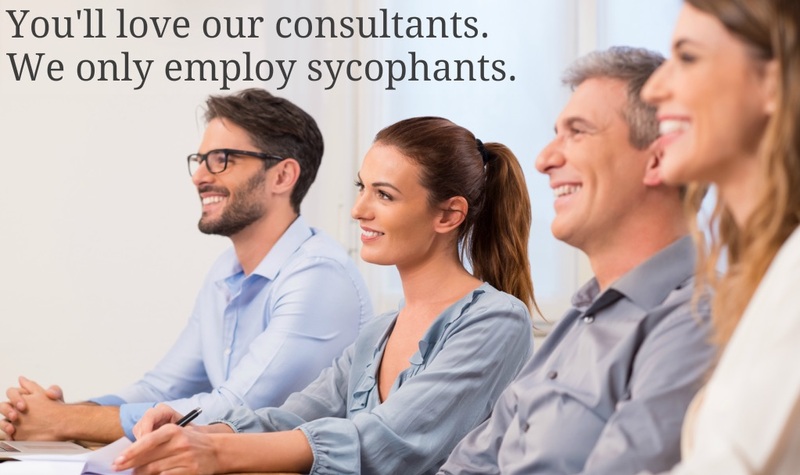 At the very least, they don't want to actively dislike their consulting partners. So don't be a jerk. And if you're leading a consultancy and have no social graces, then for God's sake hire someone who does and make them your client-facing leaders. Don't be unique. Be really bloody good. I remember when we were looking for funding to expand Conchango, we talked to a private equity firm (who are, after all, also in professional services). The terms they offered us were worse than if we'd gone to the bank for a loan. So in their pitch meeting to us, I asked what was special about working with them, why we'd want to take those terms when we were actually already in a financially stable and strong position. After looking at his colleagues for inspiration, The managing partner earnestly leaned over the table and said "I think you'll find when you work with us that we're a really passionate company!". Now there's a USP straight out of an episode of The Office. 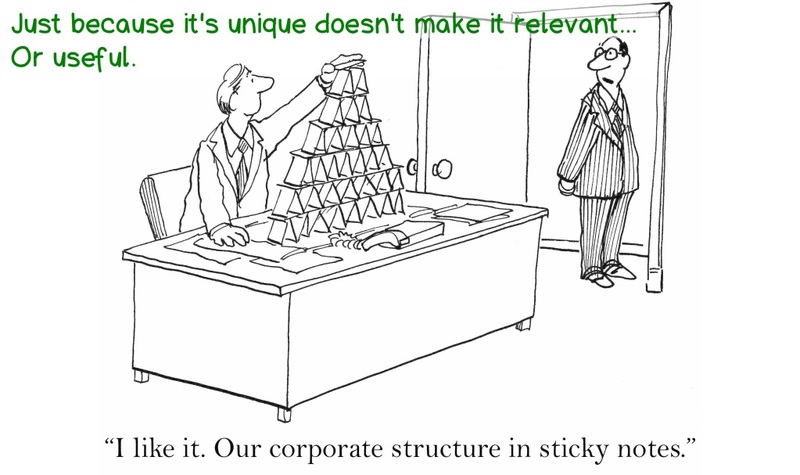 Don't be that managing partner. If you've ever been involved in product selection, you'll have witnessed a 23 year-old pre-sales guy genuinely believing that the latest feature he's showing you in their software is something that no other product has. And you'll have seen the feature, often done better, elsewhere. Don't be that spotty 23 year-old. Your clients can, and will, call BS if you claim uniqueness when really, it's not that unique. They will usually know your competition's claims better than you, as they'll have been at the receiving end of them. Don't try to shoehorn uniqueness into your consultancy. Spend all that time and energy instead on building relationships and being really, really bloody good! And make your quest for uniqueness be about how you can deliver something unique for your client and how you can build a unique relationship with them. This article was written as a direct response to a question from a reader of this blog. I went to look at his website. Although it didn't explicitly articulate it, looking at their offerings, language and case studies I saw something that in my mind did make for a strong USP. Or at least a near USP that looked strong enough to lead with. If I was right, (which I probably wasn't, as I wrote to him and haven't heard back) and if that was a true reflection of his consultancy, then I'd absolutely use it in his case. It would not only articulate something strong, but would probably also help attract clients who are aligned with their way of thinking, and create a strong niche. otherwise made in that particular field of advertising. pull over new customers to your product." By using this, you can play one-up-person-ship and remind them that the USP was defined explicitly to make a unique, substantiated advertising claim, and should move millions to your service. Ask them how many of their consulting clients have millions of customers. Then, once you've sated your ego, go back to the more commonly used definition that the USP is the unique thing that you and your consultancy does.